On Friday May 15th, 12 HLL student-athletes from P.S. 76 had a rare opportunity to visit the Goldman Sachs offices in lower Manhattan. The boys were in for a treat as they learned the ins and outs of investment banking through the business example of the 'Shake Shack' restaurant chain. The students learned what it means to own stock in a company and what it means to issue and own IPOs. They also were able to meet and converse with many of Goldman's employees including Major League Lacrosse Players Max Quinzani and Lee Coppersmith! 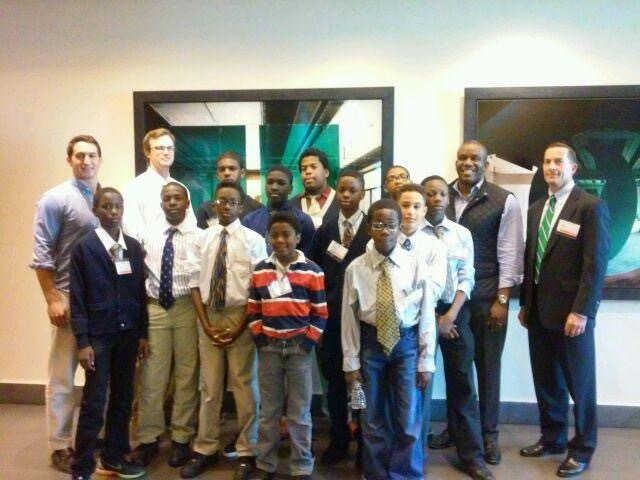 A huge thanks to HLL Advisory Board Member Hakim Thompson and the entire Goldman Sachs office for hosting such a fantastic and informative afternoon for the kids!